The song definitely struck a chord, because it reached number one upon its release for Ellington when he recorded it. 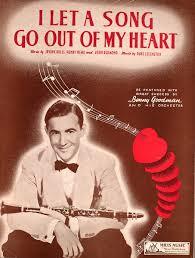 It was also a hit – the same year – for Benny Goodman (with Martha Tilton singing), Connee Boswell, Hot Lips Page, and Mildred Bailey. Over the years since then, other luminaries have also recorded their own versions of it, including Tony Bennett, Rosemary Clooney, Ella Fitzgerald, Bing Crosby, and Thelonious Monk. Clearly, no one is ready to let this song go out of their hearts!